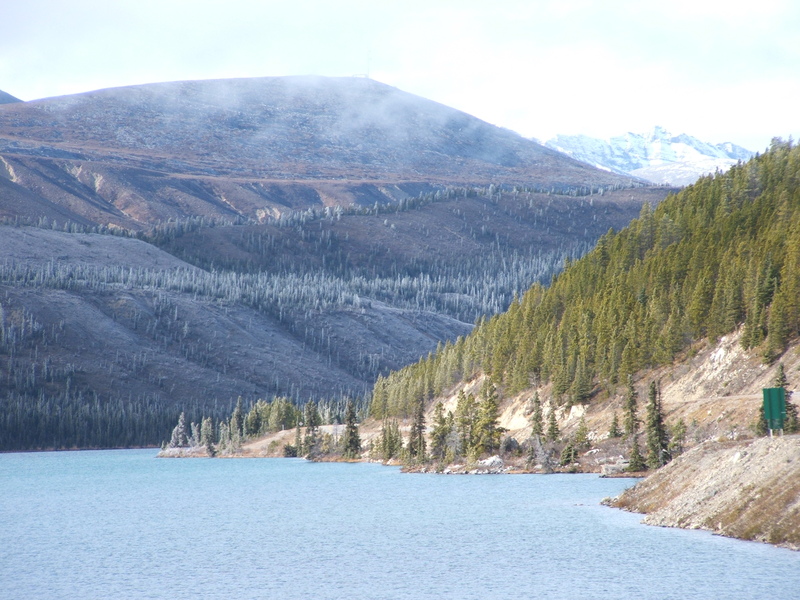 Travelling the Alaska Highway is not for the timid, but the rewards are impressive. It is a long drive. The highway winds its way through mountain passes for 1422 miles or 2,288 km from Dawson Creek to Delta Junction, Alaska. Highway construction by the American military started in March 1942 after the attack on Pearl Harbour. The builders of the Alaska Highway completed the road in 8 short months, an engineering marvel. When travelling the highway, it is awe-inspiring to think about the prospectors and adventurers who travelled the route during the gold rush years as well as the highway builders who opened it up in the 1940’s. It must have been an incredibly difficult journey for earlier travellers. Today the highway is paved-for the most part. Beware of the areas that suddenly turn to gravel, although most are marked. There are still lots of twists, turns, climbs and dips on the road. My husband did most of the driving so his focus was mostly on the road. I was co-pilot and kept an eye out for wildlife, read the map and admired the view which was spectacular. 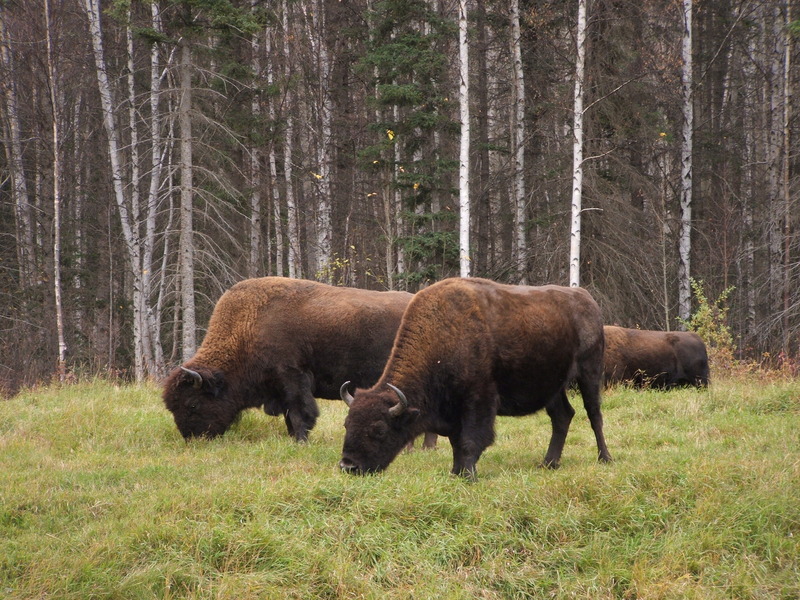 There is lots of wildlife along the highway like moose, coyotes, wolves, elk, mountain goats and bison. You really have to watch out for them at night and I would have preferred being off the road when it started to get dark. I would also suggest you keep an eye on your fuel. In October lots of amenities were closed for the season in an area that has few places to stop. Yukoners who travel the road often, often have facilities for cooking and sleeping when they travel the highway. 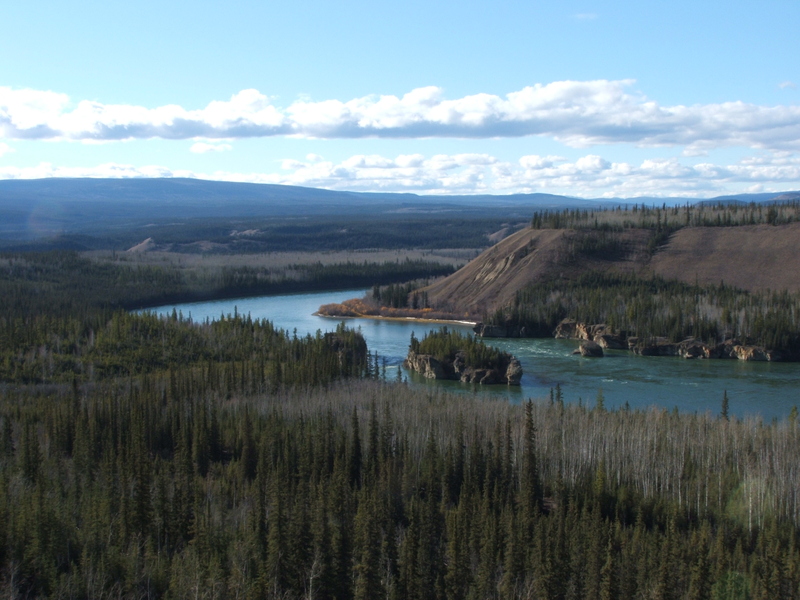 We travelled from Edmonton to Dawson City, stopping overnight in Fort St John, Fort Nelson and Whitehorse. So count on 4 days of driving to get to Dawson City more if you are going to Alaska. 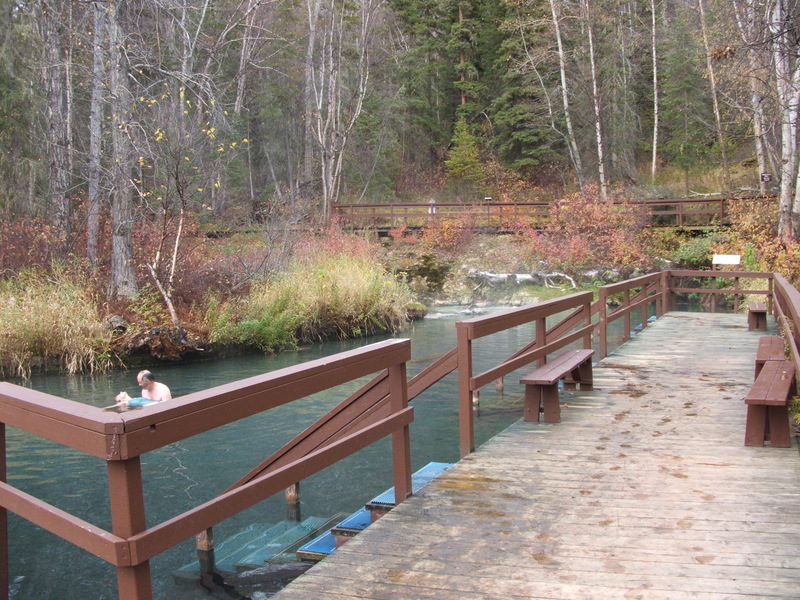 We planned our overnight stops on the way up and back so we could take some time out at the Liard River Hot Springs near the BC/Yukon border. There is a change house at the first hot spring and hiking further up the trail will take you to other hot springs. It was heaven. 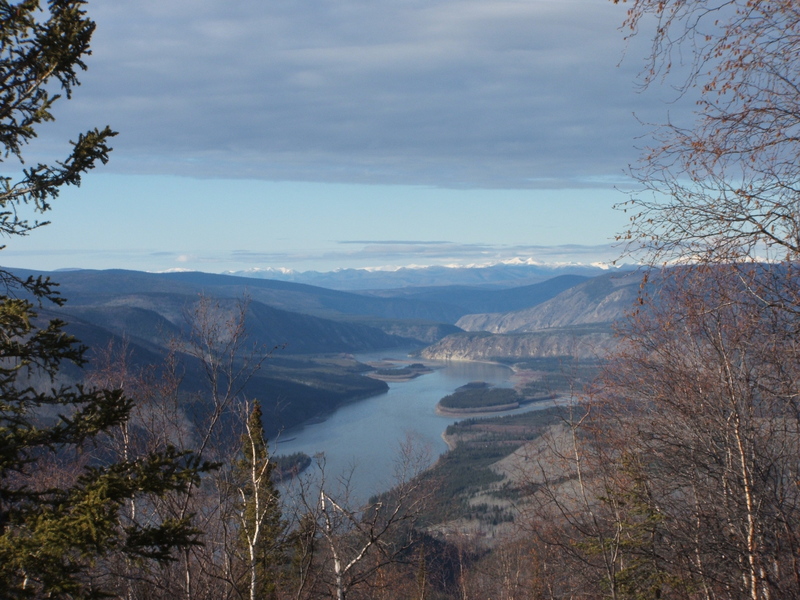 The Yukon River is on one side of Dawson City, the Klondike River on another side and the Midnight Dome mountain casts its shadow on yet another side. It is easy to imagine the Klondike days when walking along the wooden board walks of the town. To me the sound of boots and shoes on the walkways is the sound track of the place. Take a drive to the top of the Midnight Dome or ferry across the river to the Top of the World Highway, the views are amazing. 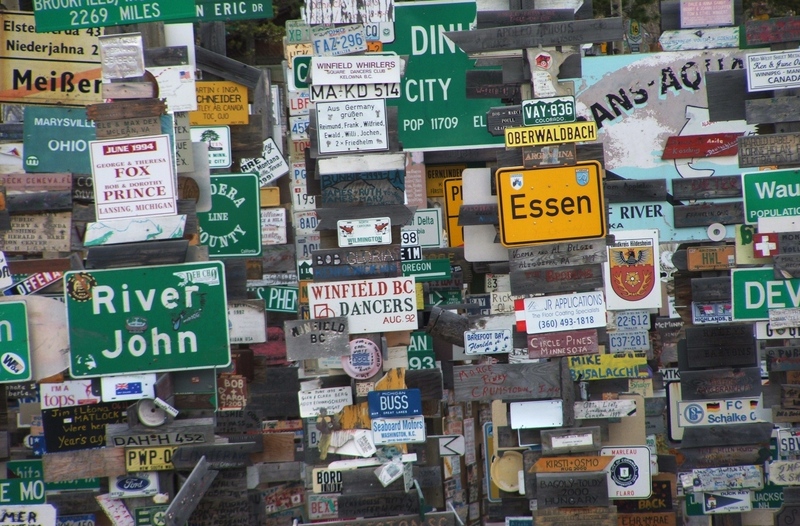 This entry was posted in Canadian trips and tagged Alaska Highway, Dawson City, Liard River Hot Springs, Sign Post Forest, Top of the World Highway, Travel, Watson Lake, Whitehorse, Yukon by paulamacmillan. Bookmark the permalink. We travelled this highway last summer. Your post takes me back to the beauty and fun of the roadtrip. I loved the sign-post forest. Dawson Creek from the mountaintop is so beautiful. Great Photos. It is an amazing trip. I hope I can do it again some day. The view of Dawson City from the Midnight Dome is fantastic. When I was a kid, in 1968, my mother drove us up the AlCan from Michigan in an old VW bus up. It was then 1200 miles of gravel road, and we had nine flat tires. But we had never seen anything like it. I remember clearly the highway signs left by passersby. Thanks for taking me back there!